THE AMERICAN SPANISH DANCE THEATRE was founded by Andrea Del Conte in 1979. Since then it has established itself as a world-class performance ensemble, educational resource, and curator of Flamenco dance. 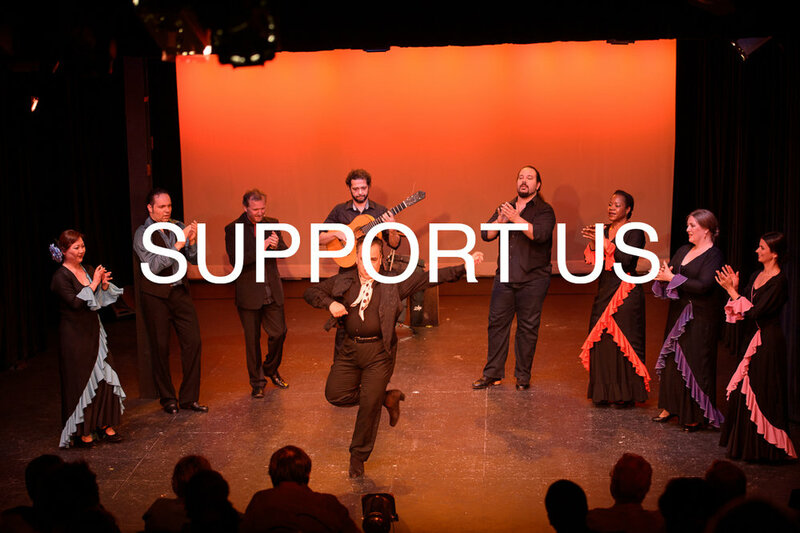 The company performs in New York City, offers educational outreach that has provided cultural enrichment to thousands of underserved NYC students, and has established itself as a leading champion and custodian of this wonderful Spanish dance tradition. With a diverse repertory rich in flamenco dance tradition, this nine-ten member ensemble, under the artistic guidance of Yloy Ybarra, has developed programs which bring to American audiences the essence of Spanish dance, music and song, with special emphasis on the integral relationship between the various components of flamenco. Choreographers from both Spain and the United States have created works for the repertory, thereby continually adding fresh creative insight and inspiration.